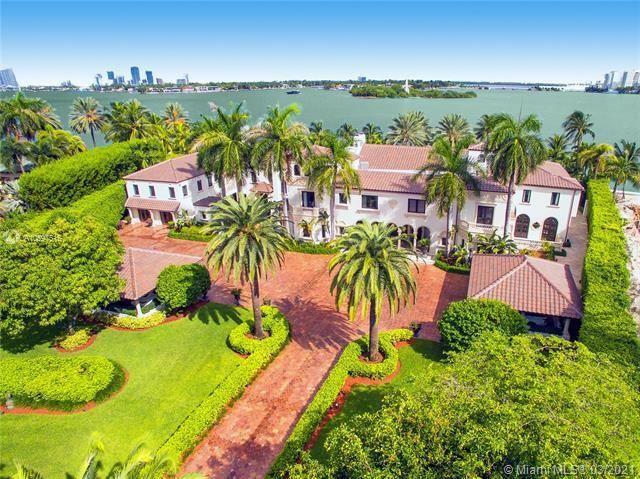 If you happen to catch a glimpse of a Hollywood celebrity while navigating through nearby Miami Beach, it's possible they have a home at infamous Star Island, a secluded and lush gated community made up of extravagant mansions that belong--or once belonged--to some of tinseltown and music's biggest names like Madonna, Sylvester Stallone and Gloria Estefan. It’s no secret many celebrities enjoy living extravagantly and the spectacular homes on Star Island are designed to accommodate such lifestyles. If you have $32 million in spare change to spend, you can be the proud owner of an incredibly astounding 20,000 square foot multistory island manor with eight bedrooms and a mind boggling eleven bathrooms standing proudly near beautifully cerulean Biscayne Bay. This gated community features arguably the most opulent of homes in all of Miami Beach's manmade islands is a flawless complement to the available real estate across the entire city. If you want to live like a celebrity, look no further than Star Island. Please contact Miami Beach luxury home Realtor Brian Smith for help buying, selling or renting a Star Island luxury property.